A tangy blend of lemon, butter and garlic! 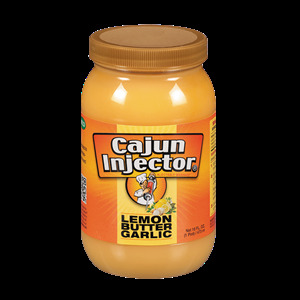 Injected deep into meat, Zatarain’s® Cajun Injector® Lemon Butter Garlic infuses delicious taste from deep within meat. Try it with salmon, tuna or chicken to amp up the flavor of everyday meals.